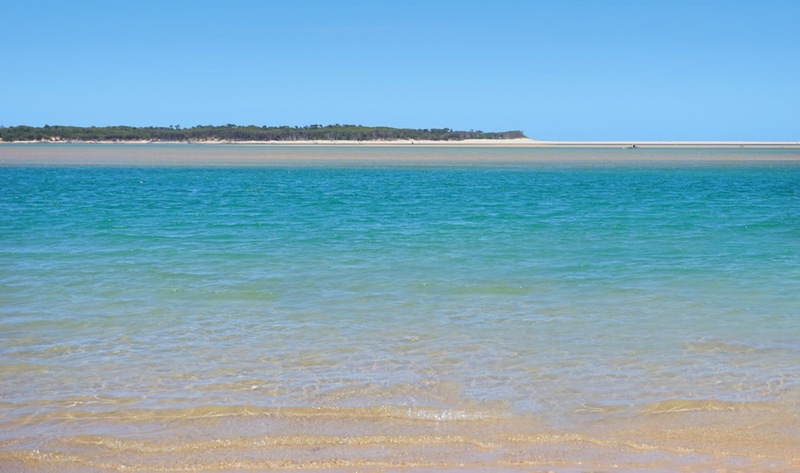 Inverloch is a seaside town located in Victoria, Australia. It is located 143 kilometres south east of Melbourne via the South Gippsland Highway on the Bass Highway at the mouth of Anderson Inlet, in the Bass Coast Shire of Gippsland, Victoria, Australia. Known originally for the calm waters of Anderson Inlet, it is now also known for the discovery of Australia's first dinosaur bone. At the 2011 census it had a population of 4,960. Inverloch is a popular tourist destination, particularly for swimming, kitesurfing and windsurfing at the calm waters of Anderson Inlet. Fishing and surfing are also popular. The town was first named Andersons Inlet after Samuel Anderson, the first European to settle here. It was later renamed Inverloch after Loch Inver (Lake Entrance) in Scotland. The town is also home to a tennis club which is home to the some of Australia's greatest players. Layers and more layers.....! Beautiful image. Beautiful photo, - sounds like a great place to visit. I guess the dinosaurs were everywhere!!! Lots of them here in western North America. Love the view from the photo! !